I've finally nearly recovered--just in time for the season when Sacramento is like the surface of the sun: 102 to 114 today and tomorrow. 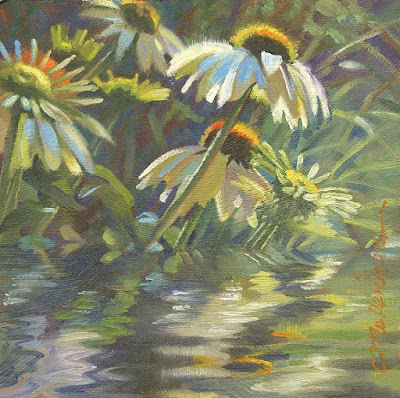 So glad the Reflection Challenge stayed current through the weekend, so I could paint from this found reference and not have to go looking for subject matter outside. I love the light on those petals Connie and your reflections. I must have a go at these challenges. I tried the picket fence one but it was a dismal wiper! I am enjoying following your work on DPW.